Good morning everyone! Life in the Philippines is hot, sticky, and wet. However, it is getting better. I’m enjoying it here more and more every day. We killed our first spider, almost as big as my hand, about a week and a half ago. It was super fast. I’m having the opportunity to learn and grow every day as I speak to people here. I’m learning more Tagalog than I thought I would ever know and I’m growing stronger myself. I’ve learned to have confidence in myself and in God that I will get through any trial that I am handed. I know that we can always receive help if we ask for it. I had the privilege to baptize a sister last Saturday!!! What a great experience! It is also a completed family and they plan to attend the temple and be sealed for eternity in one year. Following is a picture of us before her baptism. 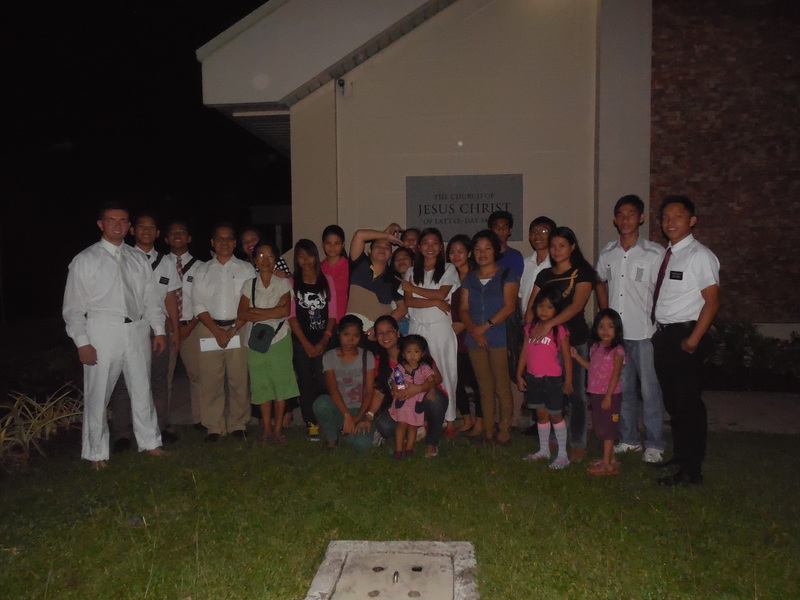 Elder Tyler Burbidge and members of the Lucena 3rd Ward prior to Janine’s baptism. 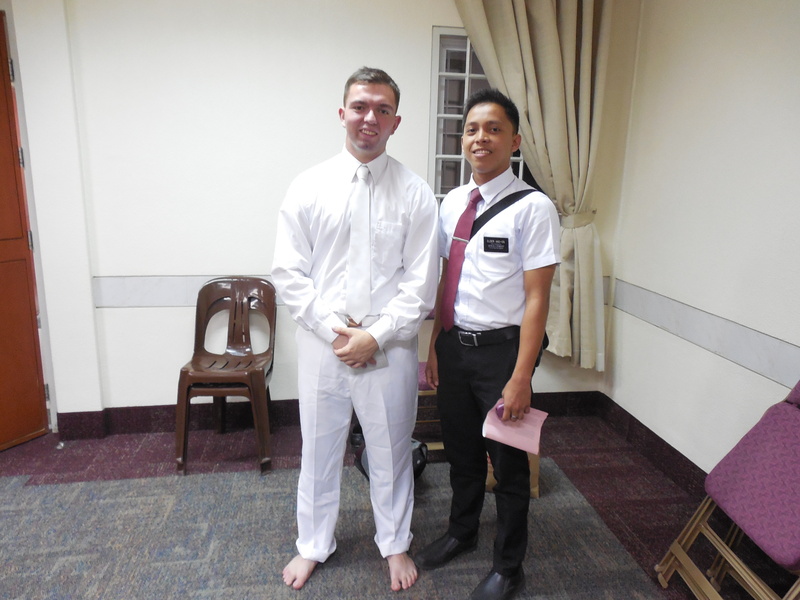 Elder Burbidge and his companion prior to Janine’s baptism. I’m excited to learn and grow more, and although it is extremely hard to be away from all of you, I know that what I am doing here is right. I’m supposed to be here now and to help the people that I’m helping now. It hurts to see some of the situations people are in here, and it hurts to know that I probably can’t help them temporally, but I know that the things I can teach them about will help them. I love you all very much and I’m glad that I have this experience to grow! 21 more short months! 1/12 of the way there! 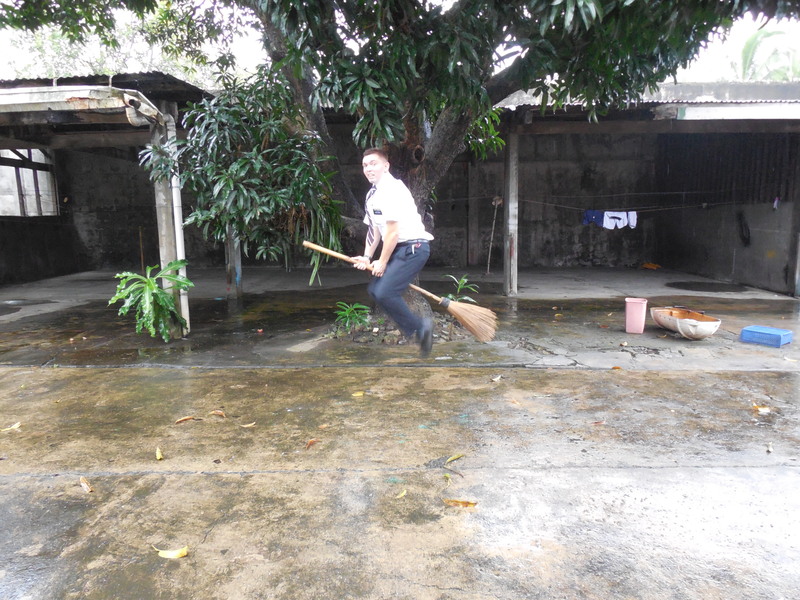 Elder Tyler Burbidge playing Harry Potter?